Tonight almost every family in Taiwan will eat a bowl of steaming hot rice balls (湯圓) and that will mark the fifteenth day of celebrations and the end of the Lunar New Year. 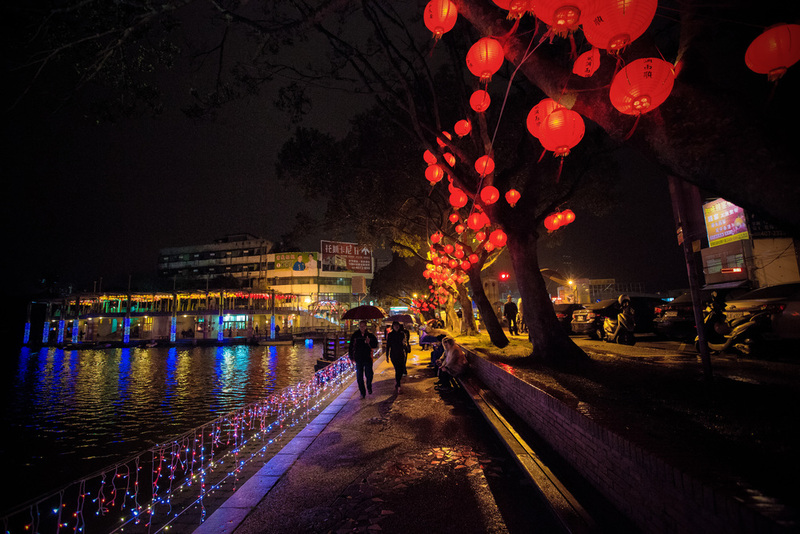 Lantern Festivals however will still be on around the country at least for the next three or so days until the end of the week. 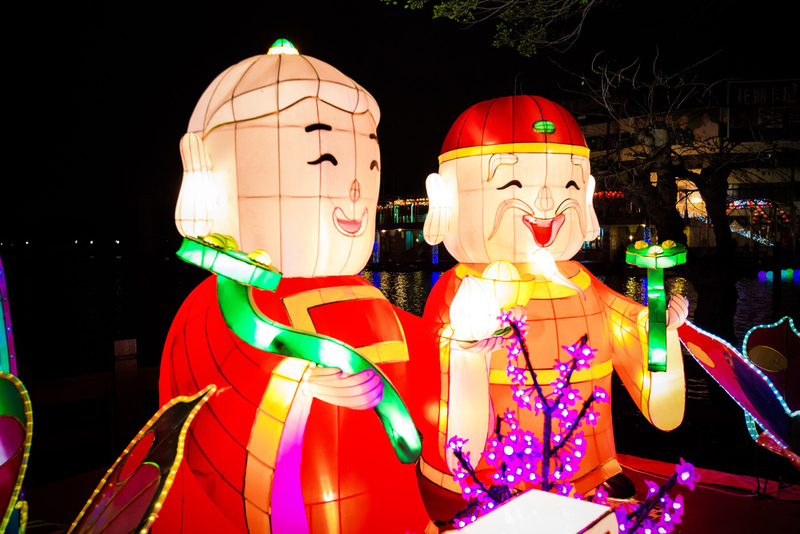 The National Lantern Festival in Taichung is having record numbers of visitors and its estimated that more than eight million people will visit before the end of the week and the Pingxi Sky Lantern Festival is also wrapping up its festivities tonight with higher numbers of visitors than years past. Taoyuan officially opened its Lantern Festival yesterday and as I've already been to the Pingxi Sky Lantern Festival and the Taipei Lantern Festival last week, I thought I'd pay the Lantern Festival near my home a visit as I don't think I'll be brave enough to brave the crowds in Taichung. The city government has had advertisements up all over the place for past few weeks reminding people about the Lantern Festival and I read online that the new mayor of Taoyuan said that our Lantern Festival has the most "style" (最有特色) of all the festivals in the country - So I was generally pretty interested in seeing what they were going to pull off. 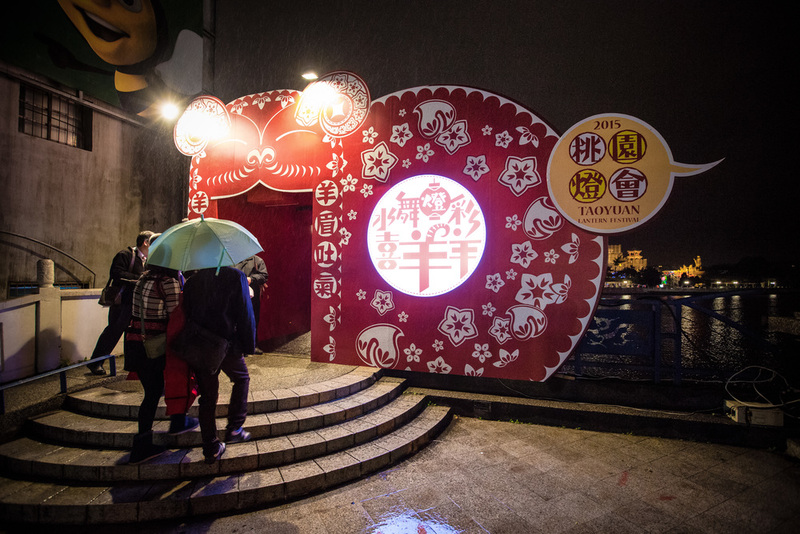 Taoyuan county's Lantern Festival is traditionally held in a different area of the county every year and in past years I've been impressed with what they've done even though it doesn't have the scale of what Taipei does. As a precursor to what I'm about to write, I feel like I should remind everyone that when I blog about Taiwan, I usually try my best to spin things in a positive light because I love this country and I like to promote it through my photography as much as possible. With that in mind, I'm not going to pull my punches on this one. The 2015 Taoyuan Lantern Festival is the WORST I've seen in my decade of living in this country. I'm not sure what "style" the mayor was referring to, but it seems like they put almost no effort into this event and its kind of embarrassing if people come to the festival expecting to actually see lanterns - which should be the primary focus of a lantern festival - right? While walking through the grounds I overheard several people saying: "That's it? This is pathetic" (就這樣？好誇張) which more or less mirrored my own sentiment about the festival. Why was this? After spending almost half an hour looking for a place to park the car, you only needed to spend only about 10 seconds to see ALL of the lanterns - which I may unfairly compare to Taipei's Lantern Festival which needed well over an hour to see all of the lanterns. There were really only two large lanterns and both were placed by corporate sponsors. The rest of the lanterns were smaller lanterns paying homage to Longtan's Hakka heritage and while they were beautiful and colourful, there weren't that many of them. The county seems like it spent more money on fireworks than they did on lanterns, so if you plan on going to the festival in the next few days, make sure you arrive before they set off the fireworks to make your trip worthwhile. The main focus of the event, and the "style" the mayor was likely referring to was the Water Dance (水舞秀) performance that takes place every half hour. Basically you have a bunch of fountains set up in the lake and there is a choreographed light and music performance for 5 or so minutes. I didn't have much interest in the Water Dance as they had the exact same performance during last summer's Dragonboat Festival (端午節) at the same venue. I also didn't really understand the correlation between the Water Dance and Lantern Festival other than some lights. I may be accused of being a traditionalist, but I think the focus of any Lantern Festival should be the Lanterns shouldn't it? Do you think I'm being too picky? I'm not sure if he was threatening me or not. I think this shot was probably the most interesting shot I got the entire night. I was trying to take some street shots of some of the vendors at the festival and this guy held up the links of sausage and started cutting them while looking at me. I took that as an indication that he didn't want any pictures! Despite my disappointment in the Taoyuan Lantern Festival, I've been busy with the other festivals and the Lunar New Year as a whole and I'm extremely backed up with processing photos and blogs to write! Hope everyone had a good New Year and Happy Lantern Festival!